Gravol 50 (Dimenhydrinate) is a motion sickness treatment which is taken to prevent people who are travelling from experiencing dizziness, vomiting, nausea and other travel sickness symptoms. The main ingredient in this drug is a type of antihistamine. 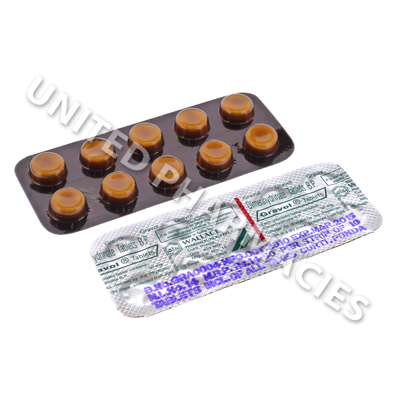 Gravol 50 (Dimenhydrinate) tablets are taken by mouth. See your doctor before using this medicine, so that you can be told the correct amount to take. Adults taking it for motion sickness are sometimes told by their doctor to take 50mg to 100mg by mouth, at 4 to 6 hour intervals. However, patients are generally warned not to take more than 400mg in 24 hours. Generally speaking, the first dose is taken 30 to 60 minutes before commencing travel. If you experience side effects, it is recommended that you tell your doctor. In some cases, serious side effects may occur in patients taking this medicine. You must immediately seek medical attention if you notice any symptoms of a severe reaction. Drinking alcoholic beverages while taking this medicine could worsen side effects, and you may be advised by your doctor to avoid drinking alcohol. This medicine causes drowsiness. You should not drive if you become drowsy. Always use Gravol 50 (Dimenhydrinate) as you have been prescribed by your doctor. Never self-medicate or change your dosage without first consulting your doctor. The correct dosage can vary depending on your health, medical history, and the severity of the condition being treated.